– even behind doors or similar obstacles. 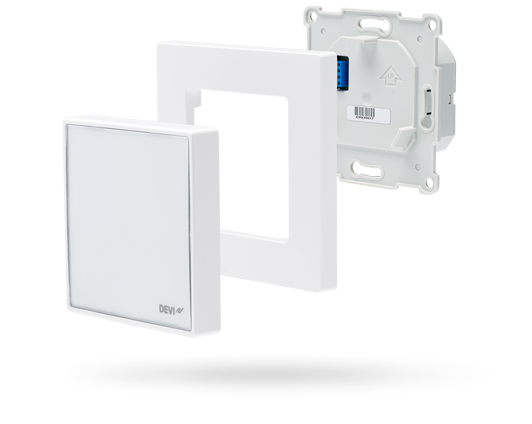 Simply turn the thermostat into Access Point mode and connect directly with your smartphone by using the DEVIsmart™ App. You do not have to connect to your customer’s WiFi and you do not need any WiFi password. A user friendly setup wizard in the app guides your through a series of simple steps and questions about the system your are installing. When the first thermostat has been setup you can automatically generate a code. This code can then be used to copy the settings into other thermostats. Done! Do your customers already have a DEVIreg™ Touch thermostat? Perfect! The new DEVIreg™ Smart fits the same frame and can easily be exchanged. 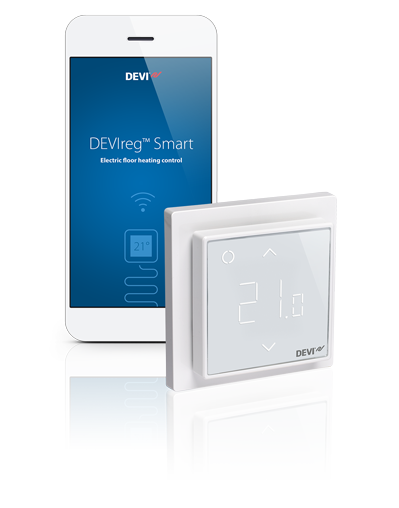 By generating a code from the existing DEVIreg™ Touch, your customer can copy heating settings into the new DEVIreg™ Smart in seconds.